Whether we are minimalists or not, I think we can all appreciate the value of a good pair of jeans. Durable, comfortable, appropriate for almost all weather conditions (the non-extreme ones), and strangely enough, always fashionable. 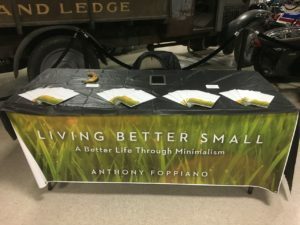 If we look around I think we will find that jeans are at the very foundation of middle class wardrobe; they are our first “go to” when we are putting together our everyday outfit and don’t want to think about what we are going to wear. Jeans are such a practical and efficient choice for bottoms, that outside of the professional environment, they are my only choice for bottoms. 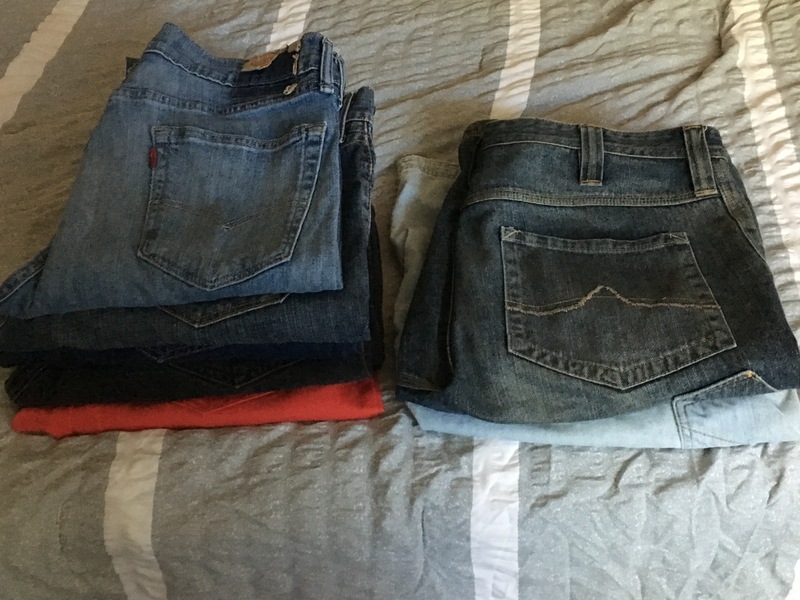 Outside of my professional wardrobe, my entire selection of bottoms is just a short stack of denim; 7 pairs of jeans and 3 pairs of jean shorts. Let’s hit the benefits one at a time. Durability – Unless we are doing hard labor in them, Jeans don’t get much wear and tear. Provided our waist size doesn’t change, and we aren’t doing hard labor, a good pair of jeans will last many years, maybe even over a decade. This may depend on the brand of jeans we are using. I have always had luck with Levis. Comfortable – Well, not “sitting on a cloud” comfortable, but I have never heard anyone say “Argh, I gotta get home so I can take these jeans off” (unless of course it was a waist size issue). Versatile – Rain, shine, snow, sleet, jeans are appropriate for all weather conditions. When the temp gets to 85-90, maybe then it’s better to put on the shorts. Always Fashionable – Seeing a woman or a man in a pair of nice fitting jeans, that hugs their body in just the right way, is always attractive. Never goes out of style. Hasn’t even faded in it’s allure. I have come to the conclusion recently that there is another type of clothing bottom that have come to be just as much of a “go to” for women out there. So I’m gonna give a quick shout out out to Yoga Pants and Leggings. I believe that these satisfy all the conditions above as well. Well, not quite as durable, but much more comfortable, equally versatile, and c’mon gentleman, tell me you are not checking out the chick in the yoga pants; yeah …… that’s what I thought. So I have declared that jeans are the official bottoms of the minimalist. A short stack of denim is all we need to wear on our legs. And for the ladies out there, a couple pairs of Yoga pants (or leggings) would be nice too.